Alphabets Now Letter of the Day – Arabic bā’- بَاء – /b/ – بَقَرَة [baqara]. The Arabic Alphabet Now App is available for iPhone and iPad in the AppStore, here. Alphabets Now Letter of the Day – Russian ef – эф – /ф/ – футбол [futbol] – football The Learn Russian Alphabet Now App is available for iPhone and iPad in the AppStore, here. Alphabets Now Letter of the Day – Greek delta – δώρο [dóro] – gift The Learn Greek Alphabet Now App is available for iPhone and iPad in the AppStore, here. Alphabets Now Letter of the Day – Ukrainian de – дім [dim] – house The Learn Ukranian Alphabet Now App is available for iPhone and iPad in the AppStore, here. 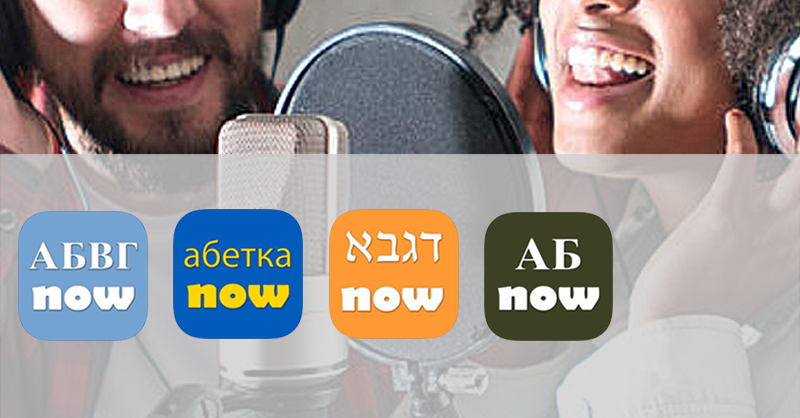 The Learn Hebrew Alphabet Now App is available for iPhone and iPad in the AppStore, here. The Arabic Alphabet Now App is available for iPhone and iPad in the AppStore, here.